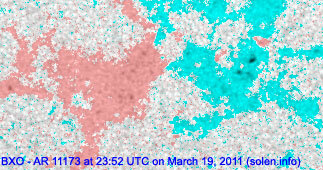 The geomagnetic field was quiet on March 20. Solar wind speed ranged between 311-359 km/s. 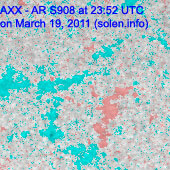 Solar flux measured at 20h UTC on 2.8 GHz was 92.0 (decreasing 4.7 over the last solar rotation). The planetary A index was 4 (STAR Ap - based on the mean of three hour interval ap indices: 4.0). 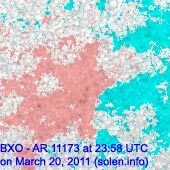 Three hour interval K indices: 01112202 (planetary), 12112212 (Boulder). Region 11172 was quiet and decayed slowly. 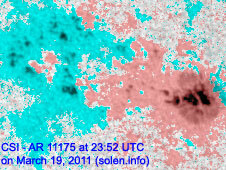 Region 11173 decayed and could soon become spotless. Region 11174 was quiet and stable. 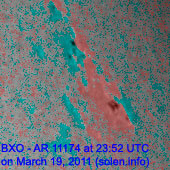 Region 11175 did not display any significant changes and remained quiet. 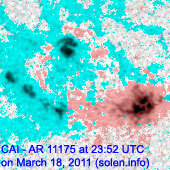 Old region 11165 is currently at the southeast limb causing an increase in the background x-ray flux. C and maybe M flares are possible. 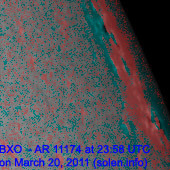 Minor update added at 15:35 UTC on March 21: Old region 11165 has rotated partly into view at the southeast limb with a large spot currently visible, see this high resolution image. 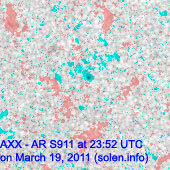 The background x-ray flux is increasing. 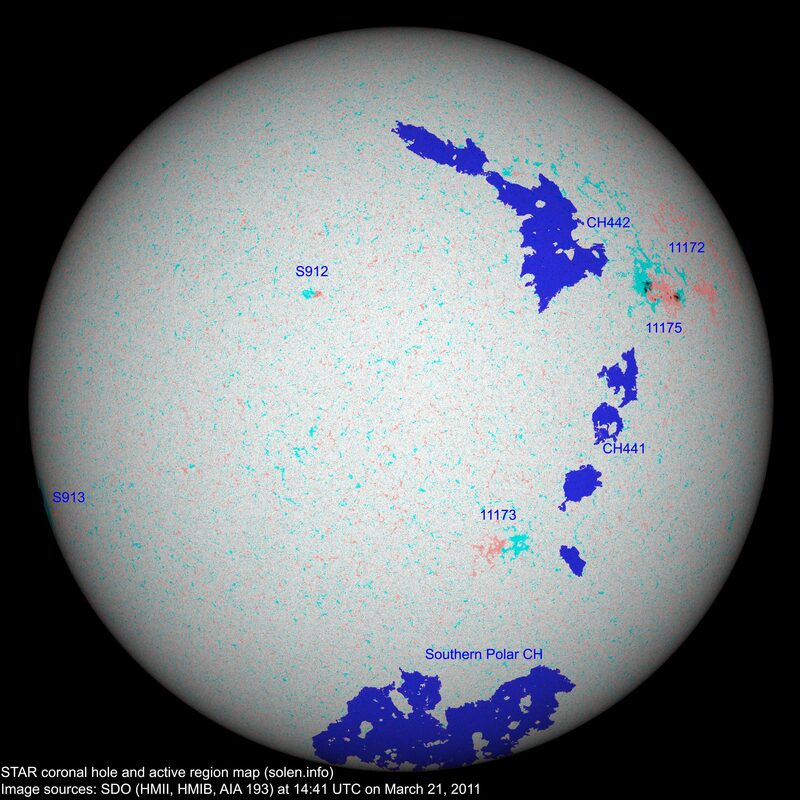 New region S912 has emerged in the northeast quadrant. 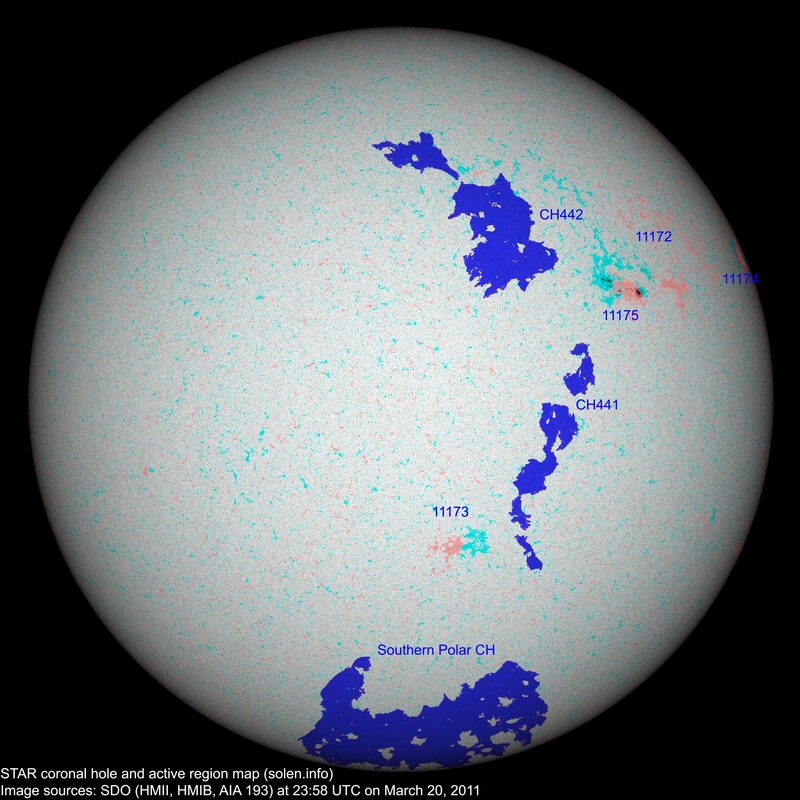 Proton flux levels have increased today but have so far not reached event threshold. 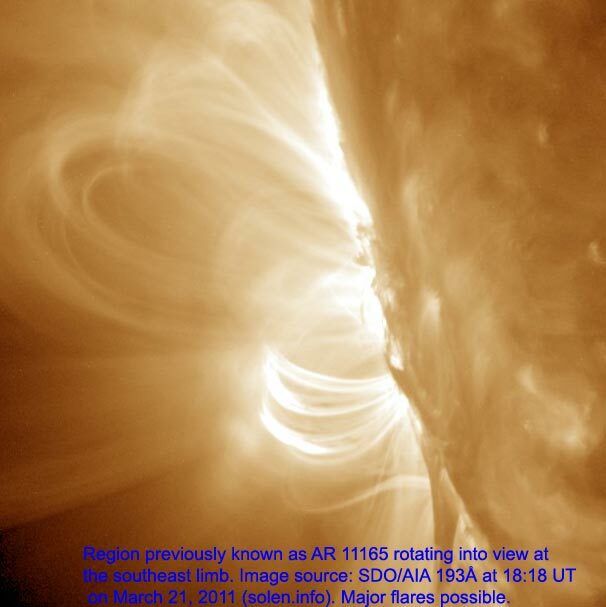 A small trans equatorial coronal hole (CH441) was in an Earth facing position on March 18-19. 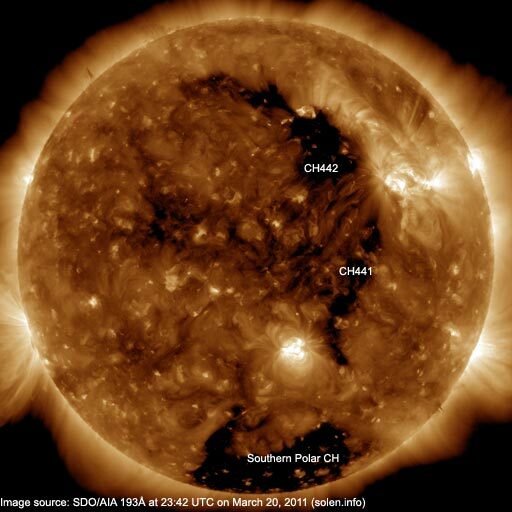 A coronal hole (CH442) in the northern hemisphere was Earth facing on March 19-20. The geomagnetic field is expected to quiet to unsettled on March 21-24 due to effects from CH441 and CH442, occasional active intervals are possible.